neighbors who are up in arms (includes their comments to the Modesto City Council) against destroying the German Baptist way of life, Michigan’s insurance debacle over abortion, Charlie Goeken’s crazy stance against anyone who disagrees with him over government-funded give away to developers, MID intrigue, do we have a fox in the hen-house regarding Wood Colony, these and more so tune in and get informed. Looking forward to it Saturday Dec 14th at the Salida library…! My name is Katherine Borges and I serve on the Salida Municipal Advisory Council also known as the Salida MAC. For those of you recently elected to the council and who may not know, Salida residents have been vocalizing their opposition to annexation to Modesto over the course of the last year and a half at both public meetings and in the media. 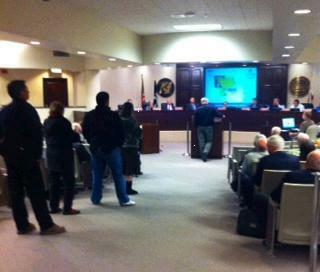 At our February Salida MAC meeting, the MAC council voted unanimously against being annexed by Modesto. This vote represents the majority opinion of Salida residents and that is what the MAC council is elected to do just as you are, represent the people. At the August General Plan Update meeting, Brent Sinclair and his planners announced that they had removed Salida from the Plan. However, Mayor Marsh is quoted in the Bee on August 20th as saying that it was “premature to do that”. On September 16th, the Modesto Planning Commission voted to submit the plan to you as is without Salida. In the Modesto Bee, Mayor Marsh suggested that tonight’s vote on the General Plan Update be postponed until January so the new council members can get caught up to speed. As far as Salida goes, there’s really not much for you to get caught up on there because Kevin Valine of the Bee nailed it when he called it, “vehement opposition”. And now its your turn to listen to the people of Salida, to not vote to add Salida back in and furthermore, we respectfully request that you additionally remove the land south of Kiernan, east of Stoddard and west of Dale that is part of the Salida Community Plan. The county has designated this land for Salida’s future and the Stanislaus County Supervisors support us in this. Its time for Modesto to work with Salida and not against us. You also need to stop your water extortion. For anyone who may be unaware about this, the City of Modesto has a ‘will not serve’ in place for new development in Salida. In other words they refuse to serve new water customers unless Modesto gets to annex the land. This was the case with Modesto’s land annexations for the parcels that Costco and Kaiser are on. Salida not only lost the retail tax base of Costco, but our Salida Fire District lost the property tax from that land as well which was a factor in forcing them to merge with Modesto. And something key that you are missing here with this extortion is that by inhibiting growth in Salida, you are inhibiting new jobs for Modestoans. Please consider extending an olive branch to Salida in the effort to makes amends and keep Salida out of the General Plan Update and remove the land south of Kiernan as well. Another olive branch to consider is selling our Del Este system back to Salida. We want it and you don’t so let’s do this! Allow Salida to become City of Modesto water customer for new development. There is already pipe being laid as I speak under the Kiernan overpass to bring water from Modesto to Salida. 2014 is almost upon us and this would be a great way to start the new year working together.